The series opens with a magnificent concert of the most beloved works of the classical period. 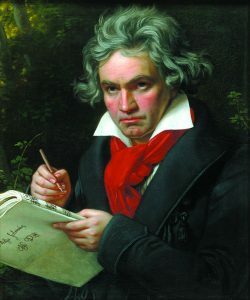 Beethoven’s glorious Seventh Symphony, which is driven by a compelling, insistent forward momentum and dance-like rhythms is performed alongside Mozart’s lively Overture to his opera The Marriage of Figaro, and the lyrical Horn Concerto No.3. Only £70 including Society Membership and admission to all six series concerts. The season runs from September to July. Becoming a member of Henleaze Concert Society entitles you to book tickets for individual concerts at the members’ discounted rate.